GOODYOU located in Xiamen, a harbor city of China, has more than 12years of experience in rubber products manufacturing and selling. Boasting a successful strategy cooperation with suppliers and logistic companies, Goodyou provide customers with one-stop service.Thanks for family-like company running method, our team is relatively stable with rich experience and love to serve our customers, assist our customers to design out solutions of the challenges they faced and provide qualified products. 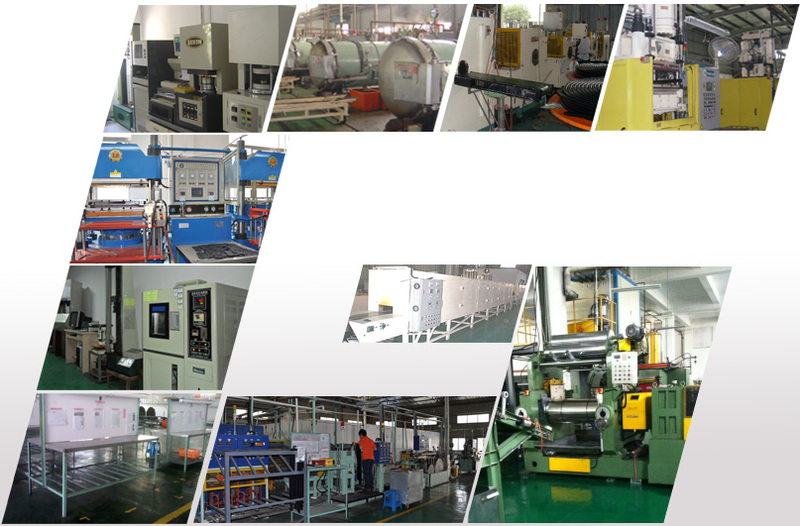 GOODYOU produce a wide range of rubber products from rubber extrusions, injection & molded rubber parts to rubber molds. All the elastomeric products are widely applied in the fields of auto accessories, auto parts replacement markets, power/engine systems, garden machines, and variety kinds of industrial machines, etc. Our factory pass TS16949 International Quality System. Our green products meet RoHS, REACH, CARB, EPA, which are exported to worldwide. - We work closely with our customer to understand their challenges in different applications, so we can provide them with Customized Solutions. - We help customers to select the right material, and design suitable rubber formula which is quite important to determine the function of final rubber products. - We offer all documents to our customers as requested, including design drawing for confirmation, PPAP when mass production, and all kinds of test reports in different processing stage, etc. - We have a complete processing and controlled flow from receiving inquiry of customer to the final shipment. We provide good after-sale service, and offer consultation to our customers. - We own advanced production machines and laboratory equipment, with capacity of 1000tons per year. Effective production and sample develop lead time. - We co-work with domestic colleague and research institute in the field of macromolecular elastomeric material research. - We have a professional QC team to control the every step of production, to ensure the final qualified products. - Save time and cost for our customers who are also our friends. - Provide right products in superior quality to meet the exact applications that customer demand. - Mutual benefit is what we are working for.